Show some Lakers Pride and put a Los Angeles Lakers Basketball Court Runner Mat in your game room! 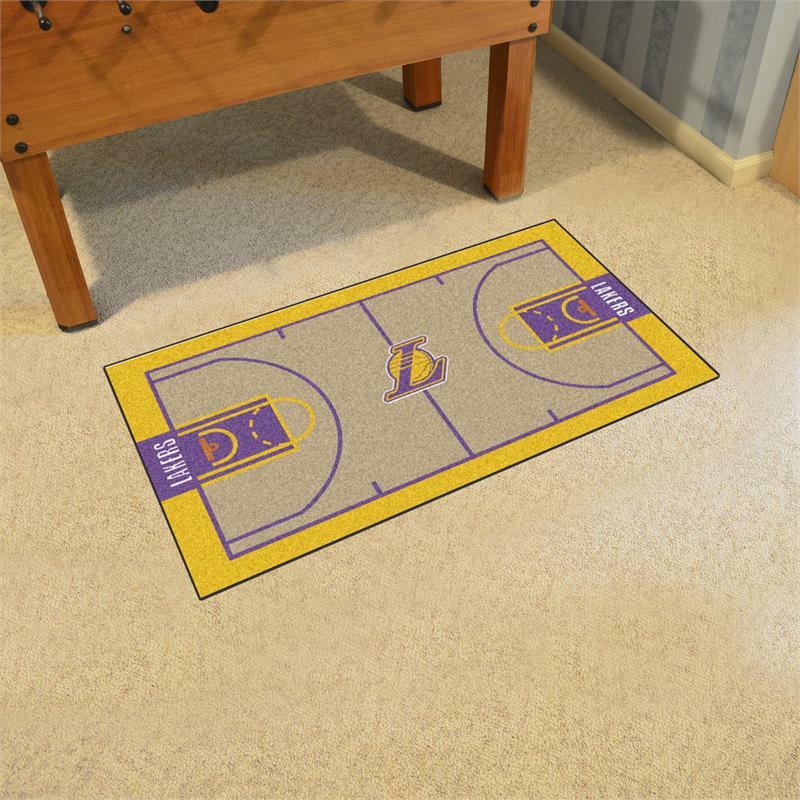 This high quality basketball court styled mat is constructed with 100% nylon carpet fibers and is chromojet printed in true team colors, featuring the Los Angeles Lakers logo and team name at both ends of the mat. The LA Lakers Basketball Court Runner Mat measures 29.5" x 54", is machine washable and made in the USA. The perfect way to your guests know that they are entering the domain of a true Lakers fan!